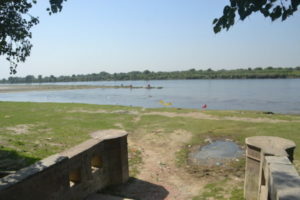 Cintaharana Ghat is a very beautiful holy place right on the shore of the Yamuna. It celebrates the transcendental pastime of Lord Siva reassuring Yasoda Mayi that her son Krishna was not under any evil spell. No small donation is too small, no big donation is too big. As we visited Cintaharana Ghat just today, more things will be added soon.